Here at ActiveHistory.ca we define active history as “history that listens and is responsive; history that will make a tangible difference in people’s lives; history that makes an intervention and is transformative to both practitioners and communities.” For many of us, Active History is also about community and reaching audiences outside of academia. Active History encompasses the work of publicly-engaged historians, public historians, archivists, museum professionals, and other community-centered scholars. Despite this broad definition of Active History, many of the posts written on ActiveHistory.ca are still written by academics or those whose work brings them into contact with the academic world. This theme week recognizes the importance of listening and engaging with voices centered outside of post-secondary institutions; its emphasis is on sparking dialogue with our museum colleagues. Both of us have backgrounds in museums. Krista started their career as a public historian by volunteering at the Museum of Dufferin and many of their early work experiences involved small local museums. Krista’s current work at the Shingwauk Residential Schools Centre is also tied to museum practice with some of their job including exhibition development and educational outreach. Between taking contracts at the Canadian Museum for Human Rights and the Canadian Museum of Immigration at Pier 21, Carly worked as a media librarian at the Canadian Broadcasting Corporation and an archives assistant at the National Ballet. Carly’s currently researching human rights museums to investigate the activist capacity of human rights museum workers. 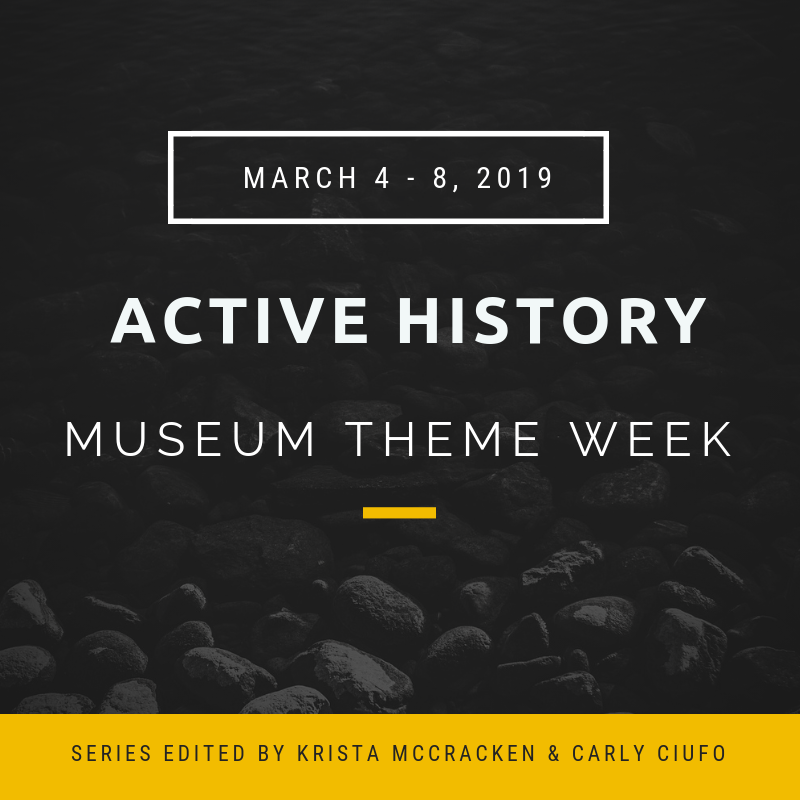 We designed this theme week to encourage a conversation between museum professionals and historians. Both often have overlapping interests and similar concerns surrounding the preservation of the past. Museology and history may be two distinct disciplines, but they are well-served when they communicate openly about their work. All of the week’s posts are written by people who have had experience working in museum settings. The contributors highlight current museum realities and concerns within the museum profession.They tackle issues of invisible labour, exhibit creation, and the legacy of colonial collecting practices. Many also discuss the collaboration that occurs within museums as well as outside of them. We designed this week to spark dialogue and deepen discussions between museum professionals and historians, so please be sure to engage and further the conversation in the comments section and on Twitter. You can reach us at @ActiveHist, @kristamccracken, and @CarlyCiufo.